Hurrah! 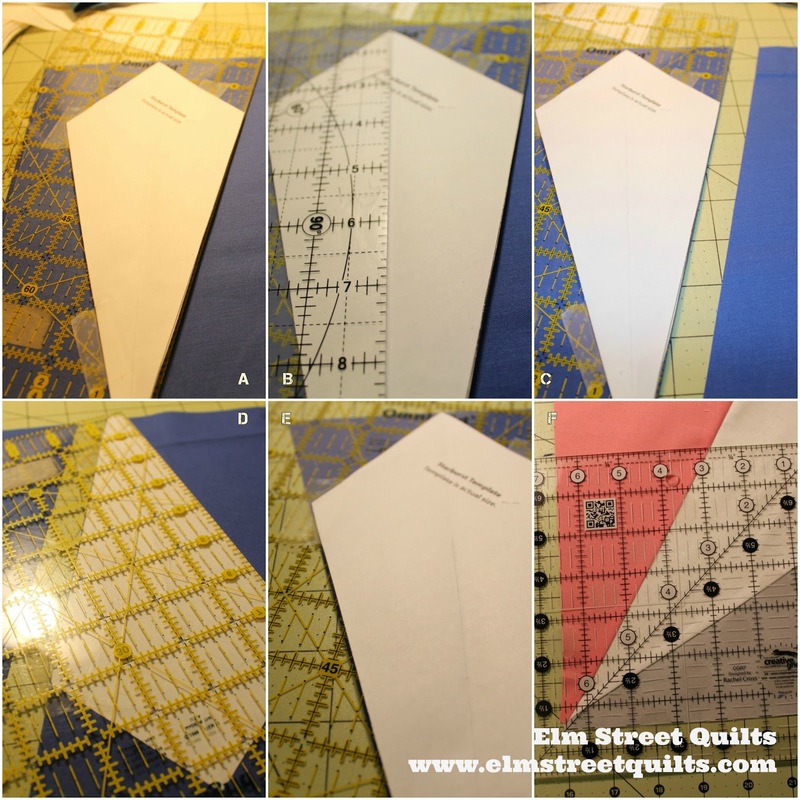 It is month 8 in Fat Quarter Shop's Bella Skill Builder QAL. You can find the pattern and a video tutorial for this month's Starburst blocks on the Jolly Jabber blog. 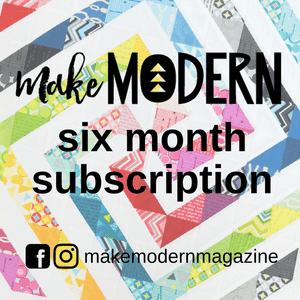 You can also buy a kit for this quilt here. Since I don't have the specialty ruler, I used the template provided in the instructions. There is no reason to cut the full shape since that top pointy part gets cut away anyway. To use the paper template, I taped it to a ruler, aligning along edge. (A). I drew a line down the center and used my ruler to make sure I was aligned to the grain line (B). Once trimmed (C), I flipped the ruler over to cut the next unit. (D) and flipped again (E) for the next unit. Once three of these shapes were joined together, I pressed all seams clockwise and trimmed each block to be 6 1/2 ''. (figure F above). The instructions call for everything to be joined together and then trimmed but that proved to be not as accurate (for me) then to cut and then assemble the final block from four blocks each at 6 1/2 ''. 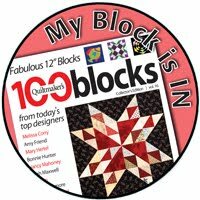 My block centers are very bulky and don't all come together in a nice point but I am ok with this. I'll mash them down (technical term here!) with my hire and be careful not to quilt through the centers. With one more block to go, time to starting laying the blocks out in the suggested layout to see if works for my colors. Looking pretty good so far! Wow, patty, it's coming along so nicely! It will be gorgeous when it's totally finished. Great job sticking to it! Great progress! It's going to be a beautiful quilt! 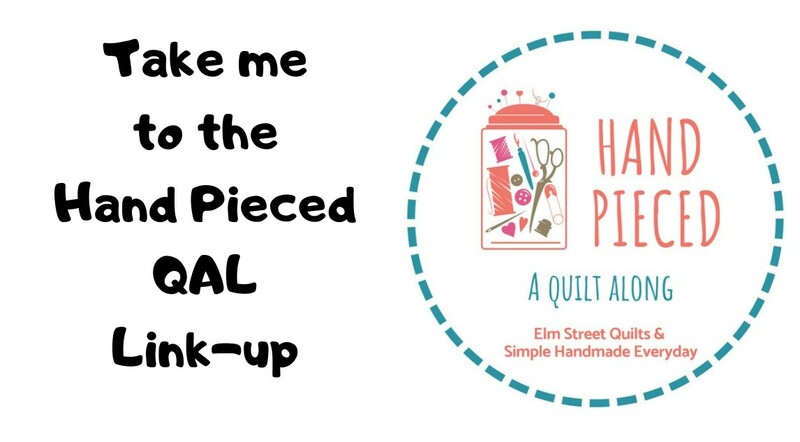 Have you thought about how you are going to quilt it yet? It's going to be a beautiful quilt. Congrats on all the progress.